According to the University of Illinois, it is imperative to sustain or increase your physical activity level during weight loss. Regular exercise will quicken weight loss by increasing calorie expenditure while still preserving muscle mass. 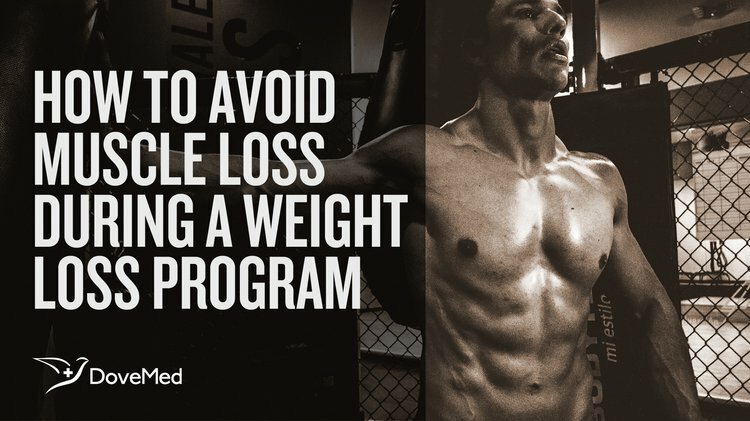 There is a long-held notion that substantial muscle loss is inevitable when losing weight through diet and exercise. Now, this seems discouraging since we all know that we want lean muscle to show through when we lose the extra fat. Studies on subjects who rely solely on energy restriction for weight loss experience a substantial loss of lean tissue. However, scientists are coming across information that may prove this theory to be malleable, though it does require additional work on your part. According to the University of Illinois, it is imperative to sustain or increase your physical activity level during weight loss. Regular exercise will quicken weight loss by increasing calorie expenditure while still preserving muscle mass. When our weight is constant, our body fat undergoes very slight daily cycles of deposition and mobilization. When we reduce calorie intake to lose fat, our body experiences an energy deficit. Once our bodies have adjusted to this new condition after a few days, fat will be continuously mobilized and burned to supply the energy we need. During this time, you can exercise as intensely as during weight maintenance. Research has been continuously accumulating on the affect weight loss has on muscle mass. In 2003, the University of Illinois published their findings on the impact different ratios of carbohydrate to protein diets had on body composition in adult women. The results demonstrated that the women with a greater protein intake over carbohydrates had a significantly greater percentage of weight loss to body fat, while sparing lean muscle tissue. Loss of lean body mass tended to be higher for those who had a higher carbohydrate than protein intake. These findings denoted that hypo-energetic diets may result in significant loss of lean muscle mass. A Canadian study in 2007 took these findings further, as they chose to research the effect of an increased protein content diet, in combination with exercise training, on weight loss and lean body mass. The results indicated that the increased protein diet may increase capacity for weight loss and reduce the loss of lean body mass. Most recently in 2013, the U.S. Army Research Institute of Environmental Medicine in Massachusetts ran a study indicating that doubling the daily allowance of protein intake in diet and exercise routines protects against muscle loss. However, there is a maximal limit for this effect. A diet with triple the recommended daily value of protein failed to provide additional benefits beyond those seen with double the protein intake. Several of these studies indicate that weight loss diets should incorporate double the recommended daily value of protein along with physical exercise. The Centers for Disease Control and Prevention recommends women ages 19-70 and above to consume 46 grams of protein for a normal diet and men in the same age group to consume 56 grams of protein. Therefore, research signifies that women should consume about 92 grams of protein and men aim for 112 grams of protein. In terms of an exercise regimen, weight loss seekers should maintain a consistent exercise schedule, especially incorporating resistance-training exercises. Resistance training exercises appear to prevent loss of or even increase muscle mass during calorie restriction. With the growing collection of research in this subject area, it is convincing that there are measures that one can take to prevent this muscle mass loss from occurring. When you maintain consistent exercise routines that utilize large muscle groups while concurrently incorporating a double protein diet in addition to essential nutrient intake, it is possible to maintain muscle mass. The potential enhanced results from this extra effort should prove to be worthwhile. Layman DK, Boileau RA, Erickson DJ, Painter JE, Shiue H, Sather C, Christou DD. A Reduced Ratio of Dietary Carbohydrate to Protein Improves Body Composition and Blood Lipid Profiles during Weight Loss in Adult Women. The Journal of Nutrition. 2003;133(2):411-17. Mettler S, Mitchell N, Tipton KD. Increased Protein Intake Reduces Lean Body Mass Loss During Weight Loss in Athletes. Medicine & Science in Sports & Exercise. 2010;42(2):326-337. Meckling KA, Sherfey R. A Randomized Trial Of a Hypocaloric High-Protein Diet, With and Without Exercise, On Weight Loss, Fitness, and Markers Of the Metabolic Syndrome in Overweight and Obese Women. Applied Physiology, Nutrition & Metabolism. 2007;32:743-52. Pasiakos SM, Cao JJ, Margolis LM, Sauter ER, Whigham LD, McClung JP, Rood JC, Carbone JW, Combs Jr. GF, Young AJ. Effects of high-protein diets on fat-free mass and muscle protein synthesis following weight loss: a randomized controlled trial. The FASEB Journal. 2013;27(9):3837-3847. Walberg JL. Aerobic exercise and resistance weight-training during weight reduction. Implications for obese persons and athletes. Sports Med. 1989;7(6):343-56. Deibert, P., König, D., Schmidt-Trucksaess, A., Zaenker, K. S., Frey, I., Landmann, U., & Berg, A. (2004). Weight loss without losing muscle mass in pre-obese and obese subjects induced by a high-soy-protein diet. International journal of obesity, 28(10), 1349. Mettler, S., Mitchell, N., & Tipton, K. D. (2010). Increased protein intake reduces lean body mass loss during weight loss in athletes. Medicine & Science in Sports & Exercise, 42(2), 326-337.